If you are reading this guide, the chances are that you know what docker does, but a reminder couldn’t hurt. It enables building, testing, and deploying apps as self-sufficient and portable containers that you can run anywhere. The thing is that you have to order Docker if you want it to remove images and other objects that are not used. That means Docker can easily take a huge amount of disk space with unused data. In this article, we want to explain how to use Docker to remove all images and other unused objects. It is an excellent way to declutter your system and keep it organized, and it will also create extra disk space you can use more smartly. The system will ask you to confirm your decision. Type “y” and hit enter to execute the command. Please note that this will remove all build cache, dangling images, stopped containers, and networks that are currently not used at all. You can use this useful addition to the command to tell Docker also to remove volumes that it doesn’t use. We used another useful flag in the above command. The “force” command will prevent the system from asking you to confirm the execution of the above line. Use it only when you are sure what you are erasing. Have you used the “–rm” when you started the container? If the answer is no, Docker will not automatically delete the container even if you stop it. In this section, we will find out how you can delete them yourself. The system will show you the ID of the container and its status, as well as the image, ports, and other useful information. Change the “container_id” with the ID of the container you want to remove and the system will perform the removal. Please note that the ID should contain a combination of letters and numbers. Keep in mind that you cannot delete an active container, so make sure that you stopped it before running the above command. The system will ask you to confirm the removal. The difference is in the exclamation mark which signals the system to remove containers without the specified label. The same applies to remove files with or without the specified label. The other filter that you can use is the “until” one. It tells the Docker to remove all images made before a particular time. The above line will remove all containers created before March 5th, 2019, at 4:30 PM. The trick is in using the list of active containers as the parameter for stopping them. The process is similar to the one you used for the containers. You should start by checking out the list of available images so that you can identify the ID of the image you need to remove. Keep in mind that an image ID contains a combination of letters and numbers. You can add as many IDs as you like or remove only a single image. The system may respond with an error message. That will happen in case one of the containers still uses the image you are trying to remove. Return to the previous steps of this tutorial and perform container removal first. 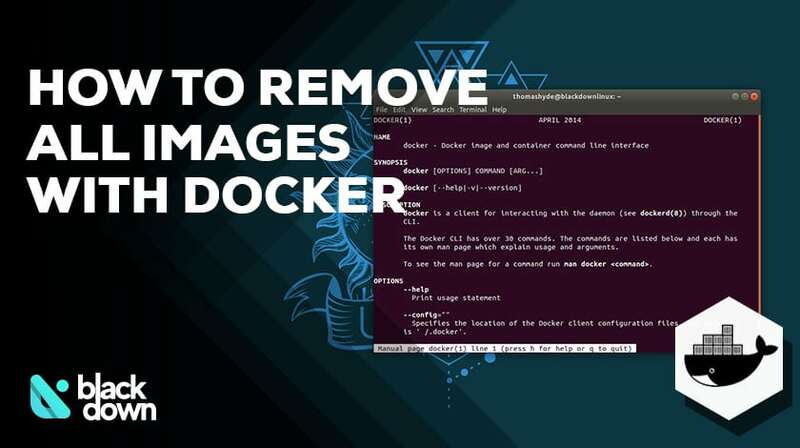 After that, rerun the command in this section and Docker will remove all images you specified. Docker has a command that you can use to remove any images that are unused and dangled. When no containers use the image, and it is not tag, then it is considered dangled. Unless you use the “force” function, the system will ask you to confirm the removal, so go ahead and type “Y” and enter once that happened. The crucial thing to pinpoint is that this will remove all the images that are not tagged! If you have built an image and forgot the tag it, it will be removed by the above command. Once again, the system will ask you to confirm the action. The process is similar like when removing containers and you can use both “label” and until filters. The above command will remove all images that contain the specified label. The alternative format you can use is “label=<key>=<value>” to specify the label. The above line will remove all images created before 8th February 2019, at 3:16 PM. That will remove images that you created more than six hours ago. We are certain you understood the basics now, but let’s get through them one more time, except we will use volumes now. The volume name is a combination of letters in numbers that can be quite long, so make sure to enter everything correctly. The system might display an error if any container uses the specified volume. In that case, you want to perform container removal first. Do not forget that you will need to confirm the removal. Docker will display the name and ID of each network, as well as their scope and drivers. The removal will be finalized if the network is not used by an existing container. If you get an error, execute the container removal command first and then repeat the above line. You can also use the label and until filters to specify what networks you want to remove. The first two will tell the system to remove all networks before the specified time. The latter two will specify to remove networks that contain (3) or do not contain (4) the specified label. That concludes our tutorial on how to tell Docker to remove all images that you do not need anymore. The process is similar for containers, volumes, and networks, which is why we included them in the guide, too. We hope that you enjoyed the tutorial and that you are now familiar with how to use Docker removal commands. Go ahead and try them out, and do not hesitate to ask questions if you have them!